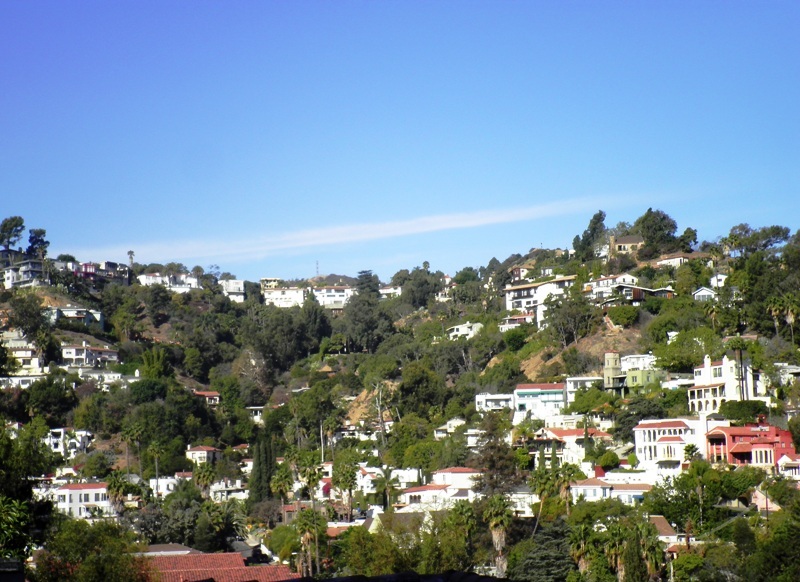 A friend invited me to go on a trip with her for a “secret stairs” hike in Hollywood. Even though I didn’t know what the hike was about, of course I said “yes.” I have developed the habit of saying yes to anything anyone invites me to do, even if my first inclination were to hesitate or even say no, a practice that has led me to many wonderful places and activities that I would never even thought of experiencing. Even if I weren’t already primed to accept, I’d have gone — I’ve never been able to resist anything “secret.” There are a vast number of secrets in the world, including life itself, and being gifted with an insatiable curiosity, I try to ferret out those secrets, but considering that so many secrets are . . . well, secret . . . by definition, I wouldn’t know that they even exist. And there, in a few simple words, I was being offered a chance to discover a hitherto unknown secret. Secret stairs. Even the phrase evokes feelings of adventure, wonder, mystique. 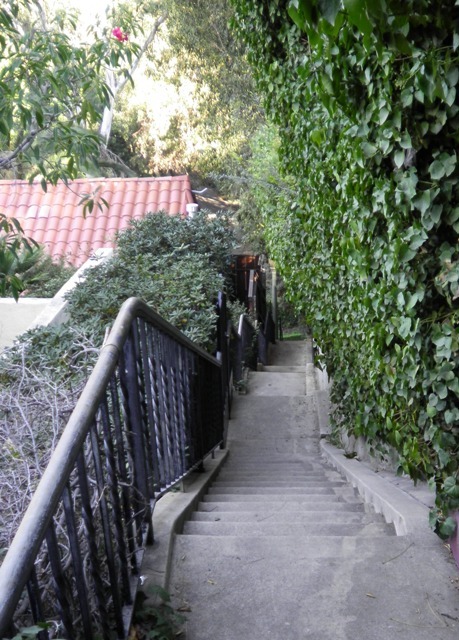 Apparently, there are many secret stairways in Los Angeles in the steep hilly neighborhoods that were built back before cars took over the city. These stairs allowed people to get down the hill to schools, markets, and trolley cars. In fact, many of the houses in these neighborhoods had no other access to the outside world than these public staircases. 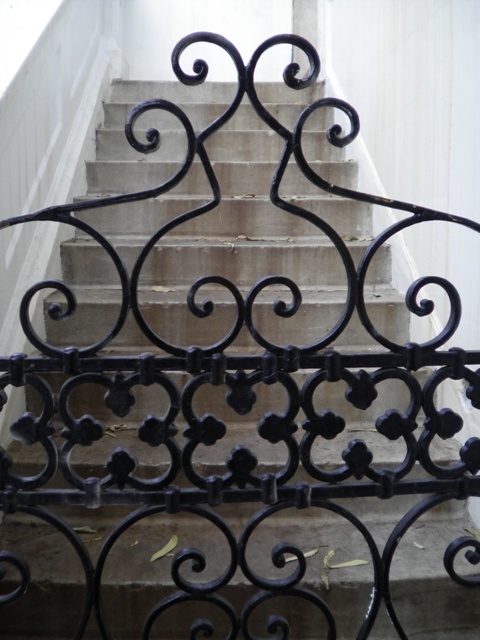 The stairs were largely forgotten until Charles Fleming published his book Secret Stairs: A Walking Guide to the Historic Staircases of Los Angeles. 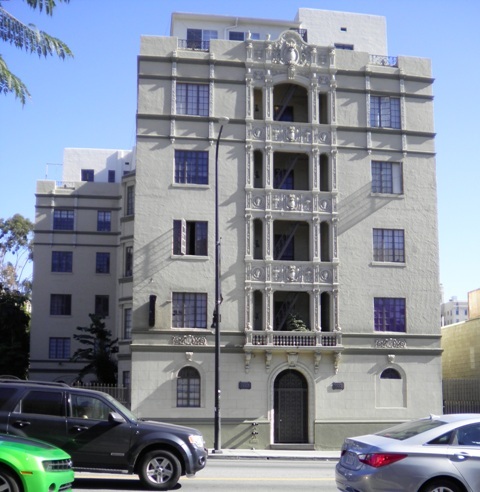 We passed the Hollywood Heritage Museum, and walked up Milner to the first secret staircase — the Whitley Terrace steps, an L-shaped staircase with 160 steps. Those secret stairs sound interesting. You could almost set a story around them…and I just might do that. This is fascinating! My mother grew up in L.A. but I grew up in nearby Orange County and hadn’t heard of them. Must take a look. A writer friend from the SF Bay Area wrote a novel about some of those famous stairs and I thoroughly enjoyed it so a novel about these stairs sounds intriguing. How interesting, Pat. I’ll look forward to reading more! I find myself photographing stairs all over the world when I travel. The ones in European fortresses really speak to me—of kings and queens and Roman soldiers and scullery maids, their repeated footsteps carving hollows in the stone over hundreds, thousands of years. I’d never thought of stairs before — they were simply there. But now I will be on the lookout for stairs, especially if ever I travel to European fortresses. I bet you have some wonderful photos! Methinks, perhaps, a post on stairs for mine own blog. A thousand thanks for the inspiration. When you do it, be sure to post the link here so we can all see it!